New Puerto Rican voters in Florida may not know the state requires certain government-issued IDs before voting, and groups can help get them. Tens of thousands of Puerto Ricans in Florida are registered to vote in the November midterm elections and former Hamilton lead actor Javier Muñoz wants to make sure that they all have the proper voter identifications when they show up at the polls. For this reason, Muñoz, who was born and raised in Brooklyn, New York to Puerto Rican parents, has partnered with Spread The Vote on a campaign to raise awareness about voter identification laws in Florida and the need to get the proper documentation before Election Day. The nonpartisan 501c3 nonprofit helps people obtain government-issued IDs for both voting and other purposes. Muñoz stars in a PSA campaign which will launch Wednesday. Florida is one of more than 20 states in the country that requires some kind of ID in order to vote during elections. State law requires all voters to provide an acceptable form of photo ID with a signature. If such photo ID doesn’t include a signature, the voter will be asked to provide a second ID that has their signature. 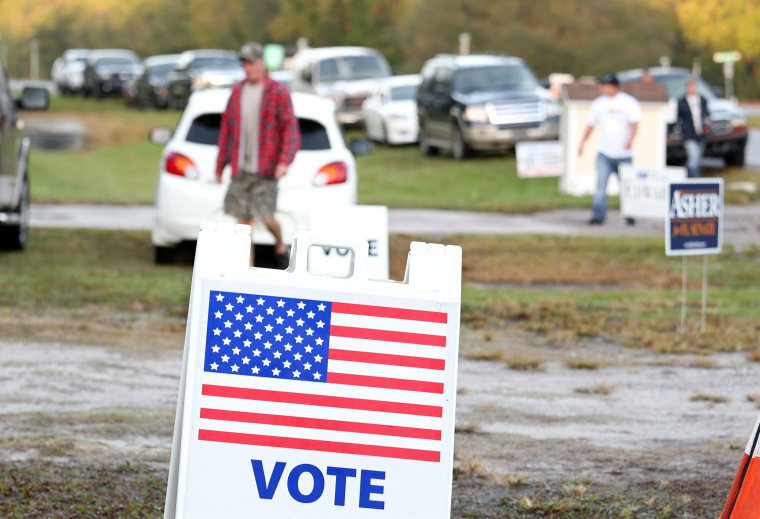 Florida driver’s license or identification cards, U.S. passports, debit or credit cards, military identification and student identification are some of the forms of IDs the state of Florida accepts at polling places. But half a million eligible voters in Florida don’t have these kinds of valid IDs, according to Kat Calvin, founder of Spread The Vote, especially Puerto Ricans who fled after Hurricane Maria. “People were fleeing for their lives,” said Muñoz. “Imagine how many people had to leave their passports, students IDs," he said. Over 200,000 Puerto Ricans left the island in the immediate aftermath of Hurricane Maria. Nearly 160,000 former island residents relocated to the United States, according to the Center For Puerto Rican Studies. Over 56,000 specifically relocated to Florida and many settled in the Orlando area, already home to hundreds of thousands of Puerto Ricans. They joined a massive wave that began in 2006 after the island’s economic crisis, boosting Florida's Puerto Rican population from 479,000 in 2000 to over 1 million in 2015, according to the Pew Research Center. Calvin told NBC that many Puerto Ricans lost documents and various forms of identification post-disaster. This prompted her to recruit volunteers on the ground in Puerto Rico. In order for Puerto Ricans in Florida to get proper state identifications, the necessary paperwork for these processes such as birth certificates, proof of residencies, medical records and DMV records, needs to be notarized in the island. Since Puerto Ricans are born with U.S. citizenship, once they move to the mainland they’re eligible to register to vote. And with the proper voter IDs, Puerto Ricans can vote in any state including Florida, where their vote could have a significant impact during midterm elections. So far, at least 77,000 Latinos are registered to vote in Florida next month. Over half of them self-identified as Puerto Rican, said Marcos Vilar, president and executive director of Alianza for Progress. Alianza for Progress, a non-partisan coalition of organizations that advocates for the issues important to Puerto Ricans as one of the newest influential electoral demographics, told NBC News that the latest voter registration figures are based on the number of people organizations under Alianza have registered. Alianza for Progress’ Respeta Mi Gente, Spanish for respect my people, is a campaign that attempts to build political power among the growing share of Puerto Rican voters in Florida. “Not all Latinos have the same political perspective but no matter how they vote, they will have a determinant factor in the election,” Vilar said.